The long-gestating biopic Steve Jobs, written by Aaron Sorkin (The Social Network, The Newsroom) and which focuses on the Apple innovator, has officially started filming. 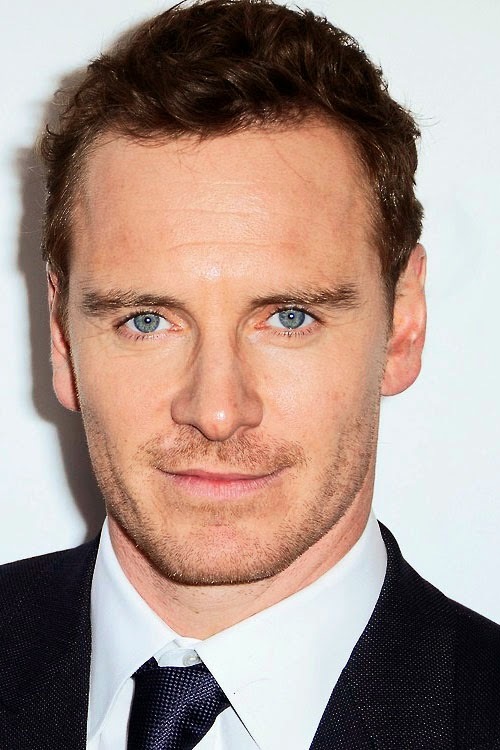 After many casting, directing and producing changes, the film, told in three long scenes (sounds quite Sorkin-eqsue), now boasts an enviable cast: Michael Fassbender (Hunger, 12 Years a Slave) as the titular Jobs; Seth Rogen (50/50, The Interview) as Steve Wozniak; and The Newsroom star Jeff Daniels, Kate Winslet (The Reader), Michael Stuhlbarg (A Serious Man, Hugo (he also appeared in an couple of episodes of Sorkin's Studio 60)) and Katherine Waterston (Inherent Vice). Danny Boyle (127 Hours) directs. Slash Film has more. The 2015-2016 New York Pops concert season has been announced. Concerts will feature the talents of Brian d'Arcy James (Macbeth, Next to Normal) and Stephanie J. Block (The Mystery of Edwin Drood, Little Miss Sunshine), together for the annual holiday concert; Montego Glover (Memphis), in a tribute to the American Songbook and songstresses like Ella Fitzgerald; and, among other highlights, a John Williams tribute concert. Broadway.com has more. A stage adaptation of The Last Testament: A Memoir by God is coming to Broadway. The new play, An Act of God, is written by God and transcribed by David Javerbaum (Cry-Baby, The Daily Show, The Tweet of God), as was the memoir. Directed by Joe Mantello (The Last Ship, Casa Valentina), the show will play its limited engagement at Studio 54, with previews beginning May 5 (making it ineligible for Tony consideration this year). 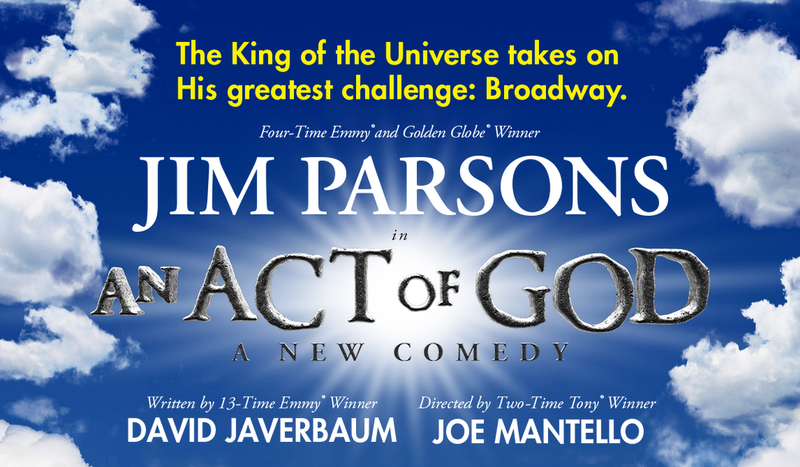 Opening night is set for May 28, and Emmy winner Jim Parsons (The Normal Heart) stars as the titular deity. Broadway.com has more. Television—The incredibly talented and hilarious Maya Rudolph (Inherent Vice, SNL) has been cast in an HBO comedy pilot, Brothers in Atlanta. The Wrap has more. Off-Broadway—Casting change: Amanda Seyfried (Les Miserables, A Million Ways to Die in the West) will replace Tatiana Maslany in Second Stage's production of Neil LaBute's The Way We Get By. She'll star opposite Thomas Sadoski (Other Desert Cities, Wild). Visit Variety for more. Television—Tony winner Idina Menzel (If/Then), who will sing the National Anthem at the Super Bowl this Sunday, has been cast in the pilot, Happy Time, a single-camera half-hour comedy produced by Ellen DeGeneres's A Very Good Production company. 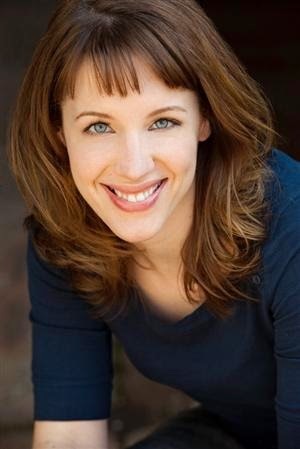 The pilot is written by Randi Barnes. Deadline has more. Broadway—The current revival of Les Miserables will say farewell to several cast members this spring, but new cast members are waiting in the wings. Caissie Levy (Fantine), Andy Mientus (Marius), Cliff Saunders (Thenardier), Kyle Scatliffe (Enjolras) and Keala Settle (Madame Thenardier) will all play their final performance on March 1. Beginning March 3, Erika Henningsen, Chris McCarrell, Gavin Lee, Wallace Smith and Rachel Izen will take over their respective roles. Broadwayworld.com has more. Television—The Good Wife will welcome some new guest actors when it returns on March 1. (It's on a winter hiatus due to football and award shows.) Oliver Platt (Chef, The Big C) and Ed Asner (legend, Grace) will make appearances this season, and Rachael Harris and Gary Cole will return to their recurring roles, as well. E! Online has more. 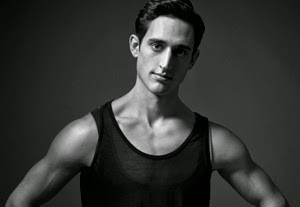 With his latest work for New York City Ballet debuting next week (on February 4), Justin Peck (In Creases, Everywhere We Go) spoke to New York magazine. The spectacular production of The Curious Incident of the Dog in the Night-Time has recouped its initial investment. 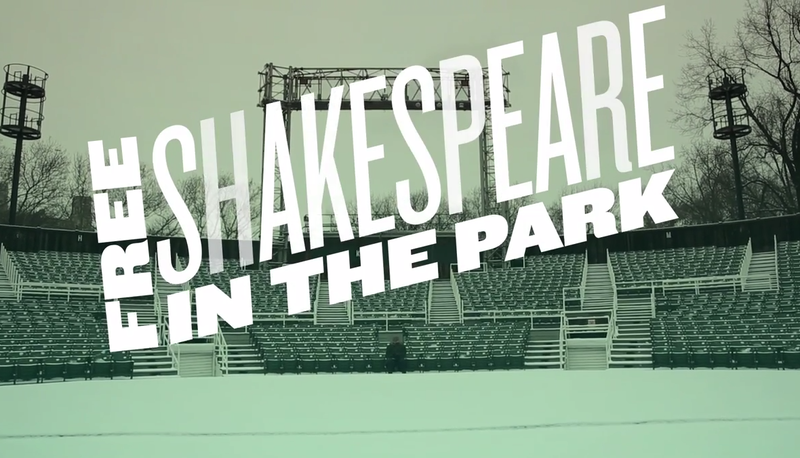 The play opened in the fall and continues to be a hot ticket. Broadway.com has more. Tony winner Jessie Mueller (Beautiful) received a Sardi's caricature. Broadwayworld.com has photos of the celebration, and Broadway.com has video. This year's Academy Awards host, Neil Patrick Harris (Hedwig and the Angry Inch), gave us, via Twitter, some Oscar scoop: Oscar winners Bobby Lopez and Kristen Anderson-Lopez, writers of "Let It Go," have joined the Oscars creative team. The first official production stills from Hamilton (now in previews; I saw it—you must get to the Public) have been released. 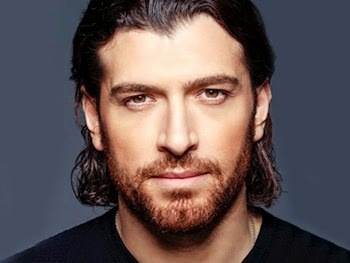 Visit Broadway.com to see. An If/Then tour is in the works, and its first stop will be Denver, Colorado, in October. 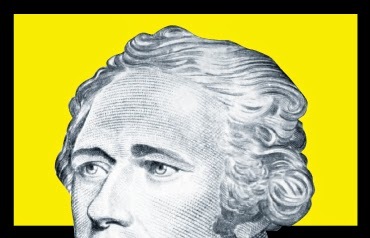 Playbill has more. Get to know Tam Mutu, the hunky West End star who is preparing to make his Broadway debut in the title role of Doctor Zhivago. He recently filled out Playbill's Cue and A. The Terrence McNally play, It's Only a Play, will continue its run through June 7. The starry production, now with Martin Short, had previously been extended through March 29. Broadway.com has more. Upon arriving home from seeing Stephen Adly Guirgis’s new play, The Motherf**ker with the Hat, I updated Facebook status with this: “Just motherf**king sat through The Motherf**ker with the Hat. Do not try this at home, kids.” And that’s my warning to you, too, dear readers. While this limited run is still in previews (it officially opens April 11), and that means changes are still being made (to wit: in the program, it is printed that the show will run with one 15-minute intermission; there was an insert in last night’s program superseding that, saying the show will run without an intermission), but I’m afraid that another two and a half weeks of previews won’t fix what ails this motherf**king play. They say silence is deafening. And it can be. But perhaps even worse is an echo, viciously and loudly repeating every one of your stumbles and stammers. Such is the viciousness Prince Albert/King George VI (Colin Firth) must learn to inure as he delivers speeches, first as prince and then as king. Or so it seems. With the help of a caring wife, Elizabeth (Helena Bonham Carter), and an eccentric and effective speech whisperer of sorts, Lionel Logue (Geoffrey Rush), he makes friends with the microphone and, ultimately leads his nation through World War II. I will not cease from Mental Fight Nor shall my sword sleep in my hand: Till we have built Jerusalem, In England’s green and pleasant land. You know, if not for all the drugs and mayhem descending upon Johnny “Rooster” Byron’s Flintock home, the English forest and its rabble inhabitants would be idyllic - would be Jerusalem. But oh, those drugs and mayhem. Have an opinion about a post? Share your thoughts in the comments section. Hi! Thanks for reading. On Reviewing the Drama, I’ll be bringing you my musings on culture and pop-culture and other odds and ends that pique my interest.